'Boring' Singapore City Photo: temporary diversion. for a permanent improvement. It is difficult to be good every day. thanks for the picture . 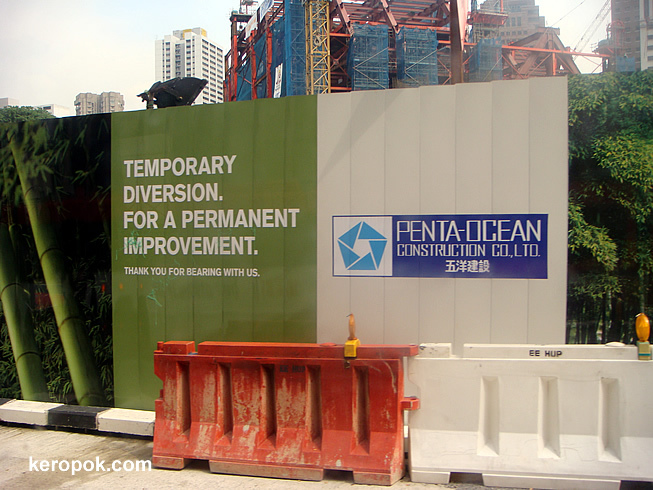 i was wondering how's the construction going for that huge mall on orchard . i was calling the place "the philipinas picnic ground" . where are they meeting now ? I like that they put some trees to camouflage the eyesore.